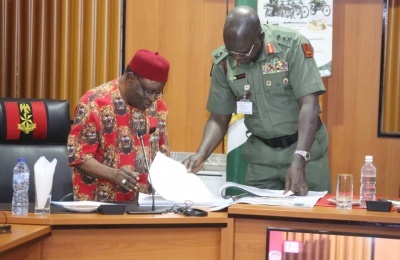 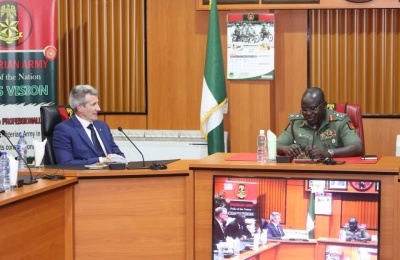 The Nigerian Army has today Saturday the 16th of March 2019, released the postings and appointments of some of its senior officers. 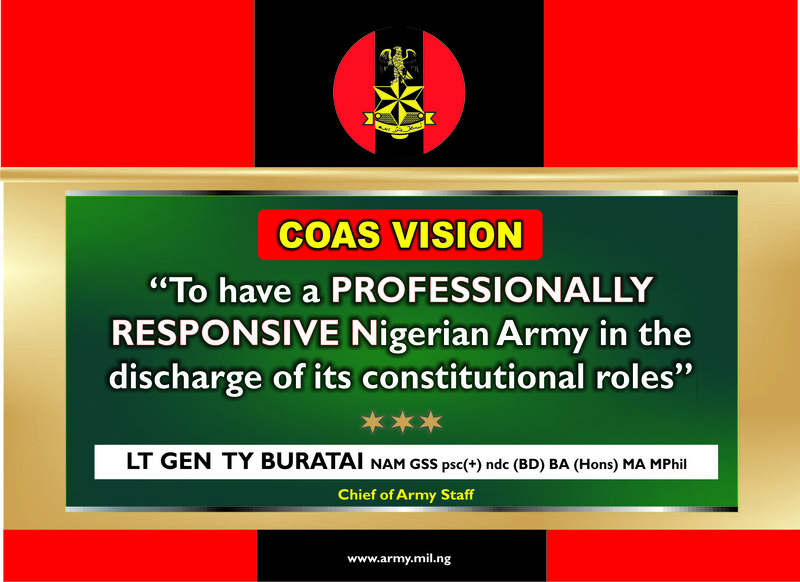 Those affected by this, include, Major General HO Otiki who has been posted to 8 Division as General Officer Commanding, Major General SO Olabanji the erstwhile General Officer Commanding 8 Division has been posted to Infantry Corps Centre and appointed as Commander Infantry Corps, Brigadier General HI Bature from 34 Brigade to Headquarters Training and Doctrine Command as Director Examinations, while Brigadier General TO Olowomeye from Headquarters 33 Brigade to Army Headquarters Department of Civil-Military Affairs as Director Civil Military Affairs . 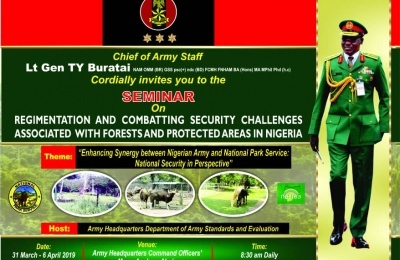 Others affected by this development are - Brigadier General SB Kumapayi from Army Headquarters Department of Civil-Military Affairs to Headquarters 14 Brigade as Commander, Brigadier General NM Jega from Headquarters 2 Brigade to 9 Brigade and appointed Commander, Brigadier General KO Aligbe from 16 Brigade to Defence Headquarters as Acting Director Liaison National Assembly, Brigadier General AK Ibrahim from 14 Brigade to Army Headquarters Department of Administration (Army) and appointed Deputy Director Veteran Affairs Department Retired Officers' Cell and Brigadier General GTO Ajetunmobi from Headquarters Command Army Records to 31 Brigade as Commander. 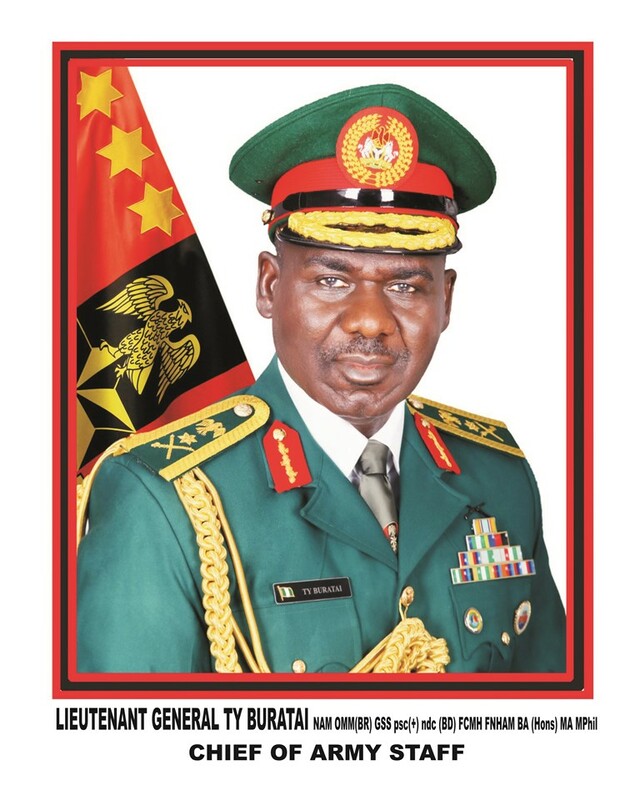 Accordingly, Brigadier General OG Onubogu from Army Headquarters Department of Army Policy and Plans to Headquarters 16 Brigade and appointed Commander, Brigadier General OM Bello from Nigerian Army Resource Center to Headquarters 6 Division and appointed Chief of Staff, while Brigadier General ZL Abubakar from National Defence College to 32 Brigade and appointed Commander and Brigadier General AA Orukotan from Nigerian Army Resource Center to Headquarters Command Army Records and appointed Chief of Staff among others. 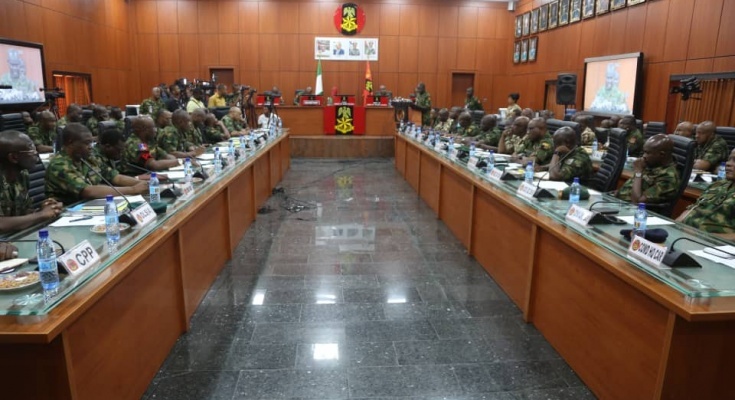 Previous PostTHE FORCE OF SUPERIOR STRATEGIES Next PostNIGERIAN ARMY NEUTRALIZES SUSPECTED ARMED ROBBERS DRESSED IN MILITARY UNIFORMS IN BENUE STATE.